In his latest blog, Robert Poole, director of transportation policy at the independent think-tank the Reason Foundation, explains why some US states are considering toll financing to modernize their aging interstate highways. 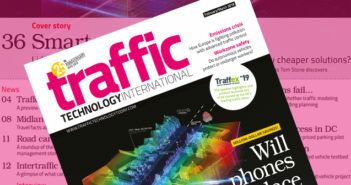 This is an extract from the latest edition of the Surface Transportation Innovations Newsletter, which you can read in full and subscribe to at the end of this article. The federal government owns the interstates, and; That since they are “already paid for”, using tolls for them would be “double taxation”. Actually, the states own all the interstates and are fully responsible for maintaining, improving and replacing them as they wear out. And, since most are nearing the end of their 50-year design life, somebody is going to have to pay to rebuild them, and also to replace major bottleneck interchanges in urban areas and to add lanes where needed. There is no federal program in sight to come to the states’ rescue on this. At least six states are now seriously contemplating the use of toll financing to rebuild and modernize their aging interstate highways, and one of them (Rhode Island) is already under way on a modest program to use truck-toll revenue to replace more than 150 structurally deficient bridges. So I was glad to take part in a panel on this subject last month at the Floridians for Better Transportation summer meeting. My fellow panelists were from toll industry consultants CDM Smith and HNTB. The former has done most of the recent tolling studies in Connecticut, while the latter has done major studies for Wisconsin and Indiana, both states with significant legislative support for toll-financed interstate modernization. CDM Smith’s Ed Regan pointed out that whereas the federal share of the cost of constructing the interstates was 90%, today federal aid for interstate projects is less than 45%, and states overall are spending US$25bn a year on interstate maintenance, expansion and reconstruction. Yet the cost of reconstructing and selective widening of the entire system is in the US$1tn-US$2tn range. Looking at ways to proceed despite the 1956 federal ban on tolls on the federally funded interstates, Regan dubbed the three-state federal pilot program (ISRRPP) a failure, since it creates negative incentives for any state that participates — especially the loss of existing federal interstate funds, and the limitation to only one project per state (creating a ‘Why us?’problem in the affected corridor area). He pointed out two alternatives that states are seriously considering: tolling all lanes under the federal Value Pricing Program and using the bridge-replacement provision of Section 129 of the US code that allows replacement of non-tolled interstate bridges with tolled bridges. Connecticut and Oregon appear to be leaning toward the former, while the latter is the apparent choice of Indiana, following Federal Highway Administration’s (FHWA) approval of that method in Rhode Island. Brad Guilmino of HNTB and I both emphasized the importance of how this subject is presented to legislators and the traveling public. The emphasis in just about every news article on this subject is on how much revenue tolling could bring in. That feeds fears that interstate tolling is simply a revenue grab, rather than a means to the end of creating a second-generation interstate system for the 21st century. In my presentation, I stressed customer benefits of a much better interstate system with enough lanes and less congestion, real service plazas like those on toll roads, and dedicated lanes for heavy trucks, where truck traffic warrants this. I also explained Value-Added Tolling policies, that would guarantee that new tolls be used only for the capital and operating/maintenance costs of the replacement interstates, that tolling a corridor would begin only after the reconstruction was completed (value for money), and that toll customers would get rebates on their state fuel taxes for the miles driven on toll-financed replacement corridors. I also noted that the national board of AAA, the largest highway customer organization, has endorsed these policies. I was also glad to learn that FHWA has been getting up to speed on interstate tolling. It commissioned CDM Smith to produce a National interstate Tolling Analysis Tool, which enables sketch-level assessment of the cost of implementing electronic toll collection on any specific interstate corridor, potential toll revenue, operating costs, etc. Modeled in the system are all one- and two-digit interstates (e.g. I-5, I-35) but not the three-digit urban interstates (I-405). Data sources tapped include FHWA’s very detailed Freight Analysis Framework so that costs and benefits to commercial trucking can also be analyzed. One question that came up in the Q&A concerned the impact on state DOTs of providing rebates of fuel taxes to those who drive on the rebuilt, tolled interstates. Ed Regan had pointed out that states today, on average, spend 30% of their transportation budgets on interstates. If those interstates were fully funded by tolls instead, that would free up the current 30% for the rest of their transportation needs, and only a fraction of that would be needed for the fuel-tax rebates. One reason for this is that since most state fuel taxes generate 2-2.5 (US) cents/mile from passenger cars, interstate tolls would likely generate 4-5 (US) cents/mile, so the math is pretty obvious. Subscribe to the Reason Foundation email newsletter and read back issues here.